How many times have you placed a shape box and popped open the color palette...and forgot what colors you used on that page so you can coordinate? 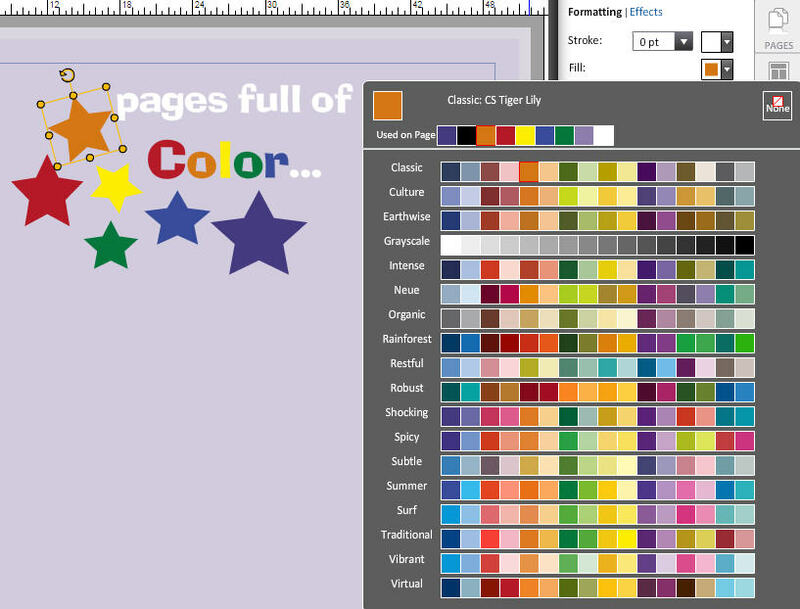 The Color Palette in Page Designer contains a block of all the colors you've used on the current page for shapes and text. Click on any of the colored squares in the Used On Page bar. Your selected element will turn that color. TIP: If you're viewing Facing Pages, Colors Used will include both pages.